What a great way to start our 4th of July week-end celebration. SORAsound is now representing Ortofon. 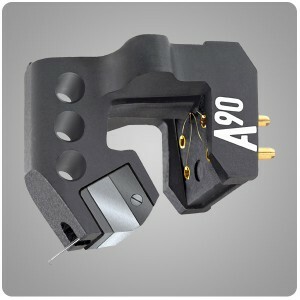 On display, we will be having an Ortofon MC A90 and MM Black. The Ortofon MC A90 will be used on DaVinci Audio inUnison turntable and a Graham tonearm. Roughly a year ago, my manufacturer/ distributor friend, Robin Wyatt whom I respect tremendously and whose line I represent told me about Ortofon A90 and suggested I pick the line. It took a while but I am glad I chose to do so. After talks with Ortofon, and satisfied customers, I realized this is a line that SORAsound needs to add to its already extensive and high quality line of products. Please contact me for your Ortofon related needs. I am still learning about the product line but am so impressed that I am considering letting my customers try it and compare with some cartridges at significantly higher prices. Go with a name that has proven itself. Congratulations! This is great after all this misery with ZYX. Recently I listened to an Ortofon cartridge together with the PHY-HP tonearm and Platine Verdier turntable; simple and great! Hans, good morning and thanks for the kind post. Welcome back home. I call you in a couple of hours.